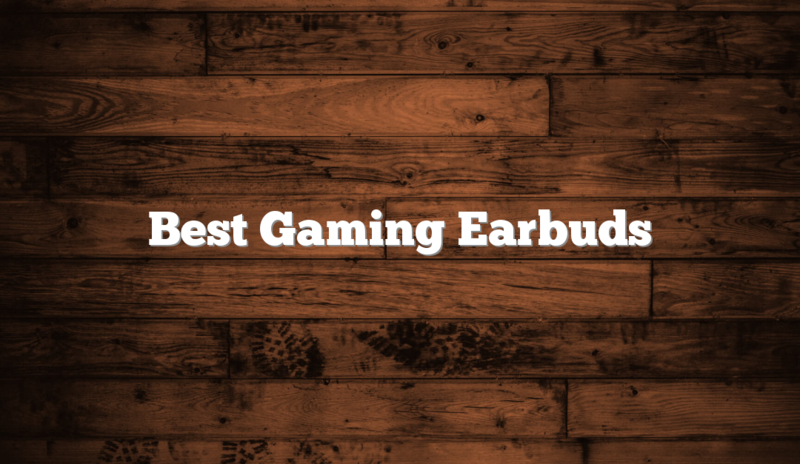 What are the best gaming earbuds in 2019? I reviewed all the best models available for sale and I wrote up some quick reviews. So how do you go choose the best gaming earbuds? Well that all depends on what you are looking for and how far your budget stretches. Are you looking for the very best quality on the market or are you looking for value for money or something in between? I reviewed what’s on the market to bring you a selection of gaming earbuds in various price and quality categories. The Razer Hammerhead Pro V2 headphones are a well-designed product designed for comprehensive sound quality, engaging versatility, and premium control buttons. Everything about this unique design ensures the listener can navigate through the highs and lows of mobile gaming or music consumption without missing a beat. These gaming earbuds are a sophisticated, ultra-sleek solution for those looking to find a portable, easy to use solution for their day-to-day needs. It’s a power-packed sequel to Razer Hammerhead Pro V1 and takes a step forward in every possible way. What’s the Verdict on These Gaming Earbuds ? The SteelSeries Flux In-Ear Headset is a remarkable option for gaming and/or music. It’s an efficient, lightweight solution with optimal versatility and stable performance metrics. Whether it’s used indoors or outdoors, this is a beautiful headset, which continues to impress throughout the day. With its omni-directional microphone and fascinating selection of ear tips, the right fit can be found in a matter of minutes. It’s an all-in-one headset with vigorous attention to detail from top to bottom ensuring peak performance year-round. Not every great gaming headset is designed with gaming in mind. Sometimes it is just a happy accident. The CX 5.00G headset from Sennheiser is designed to provide optimal sound quality during calls and while listening to media on your mobile device. It also happens that the sound quality and frequency range is great for playing mobile games. So many high-end gaming headphones are designed with console or PC gamers in mind. It’s nice to see a set of gaming headphones that are intended for smartphones and tablets. Comfort is always an obstacle when designing in-ear headphones. It’s difficult for an in-ear headset to remain comfortable after gaming for more than an hour. The CX 5.00G is surprisingly comfortable thanks to its ergonomic angled enclosure. The connected 1.2 m tangle-free cable will make connecting and disconnecting the headset a simple process without any tangles to slow you down. At the end of the day, these are great pair of mid-range gaming headphones for mobile devices. They aren’t designed specifically for gamers so they lack some of the “gamer style” that you may be used to seeing. 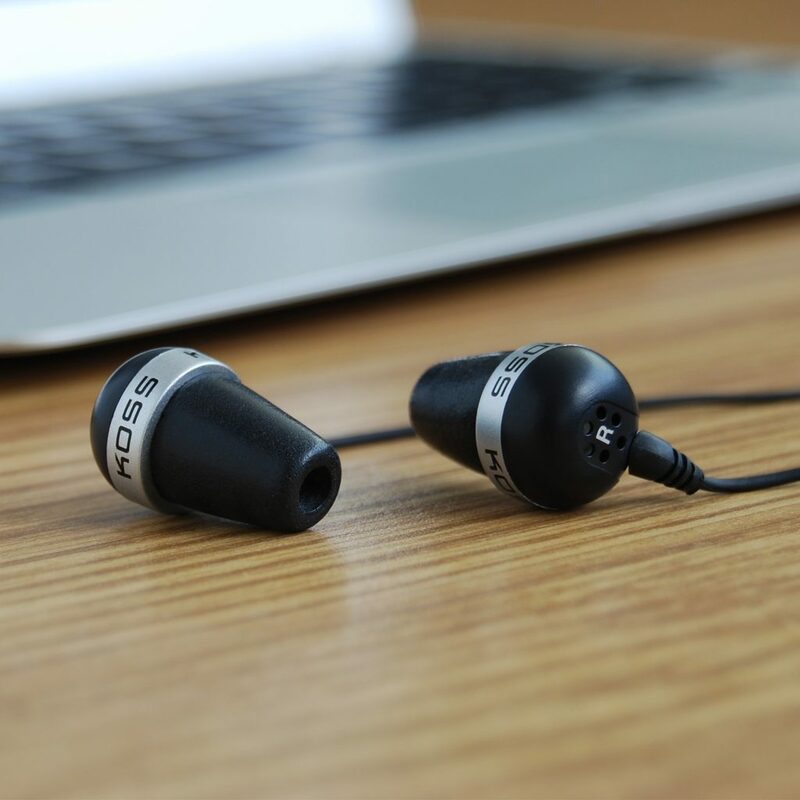 Even so, they are comfortable, stylish, and deliver a high-quality sound. When you want to find affordable lightweight headphones that you can take anywhere with you, but you do not want to compromise the sound quality or your comfort, you should give these headphones a try. Koss’s “The Plug” In-Ear Headphones are any gamers holy grail product. Known for their affordability, this brand proves that you can find high-quality headphones at an affordable rate. Neatly designed with memory foam material, these headphones can expand while in your ears, ultimately providing a custom experience like no other. They will cancel out the noise around you, making it even easier for you to focus on the game in front of you instead of hearing background noise that gets in the way of your gameplay. These headphones come with a set of foam cushions that you can use with them for added comfort. They are sleek, stylish, and easy to travel with because they are incredibly lightweight. There is even a limited lifetime warranty offered, so you can make a risk-free purchase to see if you like using these headphones. Just because you’re on a tight budget, that doesn’t mean you have to give up on good quality sound while playing games. There are a number of solid gaming earbuds under $20.00 that offer everything you need. You don’t have to break the bank to buy a set of earbuds that will give you good quality sound and last for more than a few months. I personally use a set of cheap $10 Sony earbuds from target. They break every two or three years so they don’t last as long as a high end set of earbuds. However, if I bought a pair of high end $50 earbuds, they would need to last for 10 years in order to “break even” with my cheap Sony’s. The cheap Sony headphones won’t sound as good, but they’re still good enough. Check out our list of the best headphones to see the best choices if you’ve got a bigger budget of up to $100. These are the cheapest earbuds on this list and offer good value for money. At this price point you’re not going to get much better than these Pasuwisma Gaming Earbuds. With an extension cord, desktop adapter and mic these earbuds are compatible with most mobile phones, computers, tablets and laptops. The earbuds are made from sweat proof silicone and the inner ear loop fits comfortably in the ear. The package comes with three pairs of inner loops and earbuds in three different sizes for a comfortable fit. The sound quality is excellent for the price and offers good noise reduction. The Roccat Syva High Performance In-Ear Gaming Headset comes with high quality 10 mm speaker units in each earbud and delivers top-class sound with deep base and crisp trebles. Whether you are a music lover or avid gamer, these earbuds have everything that you are looking for in this price category, including an in-cable remote to adjust sound and an in-cable omni-directional microphone with enhanced clarity for in-game chat. These Roccat earbuds are ultra-light weight and come with three different size ergonomic ear tips that make them comfortable to wear for extended time periods. This is a good, solid set of earbuds in a competitive price range. With its high-end features, robust build quality, and impeccable sound, the ROCCAT SYVA High Performance In-Ear Gaming Headset is a winner. It offers incredible durability and is able to last in all conditions without losing value. This is the charm of what it brings to the gaming world and why it maintains such high standards. It’s easy in the hands, beautifully designed, and works wonders as soon as it is hooked up for the first time. Whether it’s gaming or music, these headsets get the job done. The Agptek earbuds with dual mic and three pairs of different size earbuds are only marginally more expensive than the Pasuwinsma earbuds and come with an adapter cord that makes them compatible with PS4, Xbox, personal computers, laptops and most mobile phones. These earbuds have both an in-line microphone and a detachable microphone that automatically suppresses ambient noise for better voice quality and can be adjusted to various angles while gaming. The ergonomically designed soft ear hook allows you to find the most comfortable fit and the interchangeable earbuds in small, medium and large fit in any ear. The sound is clear with powerful rich bass tones and noise cancelling earbuds allow you concentrate on your game without being distracted by other noise. These lightweight earbuds with 10 mm speakers come with a detachable microphone, computer audio patch cable and three pairs of different size earplugs. Although called E-Sport Earphones, these noise-cancelling stereo base earbuds with mic are very versatile and suitable for gaming and are compatible with your PC, laptop and mobile device. The earbuds are made of memory cotton making them comfortable to wear for extended periods of time. The silicon earplugs come in three different sizes, small, medium and large, to fit most ears but do tend to fall out of the ear during energetic gaming sessions, even when used with in-ear hooks. The sound quality is decent for this price bracket and the noise-cancelling qualities are good. The package comes standard with G20 3.5mm earphones, three sets of different size ear-tips, a cord clip and one set of ear hooks. These are solid quality earbuds at the lower end of the price range and entry level gamers will be happy with a set of these. Vogek’s ergonomically designed and versatile gaming earbuds with memory foam fit snugly in your ear, are noise cancelling and offer a crisp, clear sound that is good for this price range. The detachable high sensitivity duel microphones isolate external noise and make your voice clearer and easier to hear. 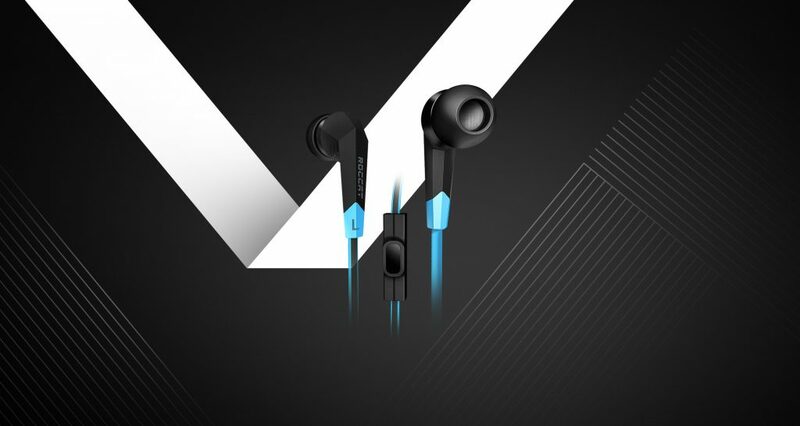 Vogek have used advanced technology and a novel design to produce an angled earbud that reaches deeper in the ear for a better fit and has noise cancelling and isolating properties that allows players to fully immerse themselves in their gaming world. The earbuds seem a bit big and they do protrude a bit out of the ear, but this should not be a huge issue at this price unless you are specifically looking for something slim and stylish. These may not be the best-looking earbuds and are made of cheap plastic, but they are not fragile and come with an 18-month warranty. These gaming earbuds with microphone and independent volume control are compatible with smartphones, Nintendo Switch, PS4 and Xbox One. The earbuds are designed specifically for gamers and the metal tuning line controller supports mobile game chat and directly adjusts the volume in various games. The ergonomic design provides a snug fit in the ear, enhancing the low frequency sound, and silicone ear hooks mould to the ear structure to keep the earbuds in place, making the Innens earbuds comfortable to wear for long periods of time. The noise cancelling and sound insulation properties mean that the Innen’s gaming earbuds offer good, clear sound quality for dedicated gamers. These are good quality durable earbuds for a reasonable price. Another reliable and solid product for gamers in the under $20 price category is a set of Granvela G20 Gaming earbuds for Xbox One, PS4, PC and MacBook. The 9mm dynamic driver with neodymium magnets delivers quality bass stereo sound for a totally immersive gaming experience. The in-line control allows players to easily adjust the volume and the in-line microphone, with call controls in a sleek, compact design, enables convenient hands-free calling and crystal-clear in-game communication. The passive noise cancelling earbuds fit snuggly in the ear to block out ambient noise and distracting sounds and memory foam enables players to enjoy their gaming for hours without the earbuds becoming uncomfortable. These earbuds come with everything you need, including a 2.2m cable, adapters for use with a PC, small, medium and large ear-tips, one pair of memory foam ear-tip covers, one pair of silicone ear hooks and an audio/microphone splitter cable. Granvela G20 earbuds come with a 30-day money back guarantee and a 12-month warranty. Wohzoek’s gaming earbuds with an adjustable microphone are compatible with Nintendo, Switch, Xbox One, PS4, desktop computers, laptops and a wide variety of mobile phones. These versatile earbuds come with a dual control in-line microphone plus a flexible 360-degree adjustable detachable microphone that picks up your voice clearly and makes in-game communication easy and convenient. The ergonomically designed oblique angle, anti-drop earbuds with rubber cushioning and foam are comfortable and lightweight, enabling you to play for hours without worrying about sore ears. These earbuds are perfect for gamers with glasses. The snug fit isolates background noise, allowing you to totally immerse yourself in your favourite game. The Zahara gaming noise-cancelling earbuds with mic are a great earbud solution for gamers and is compatible with Nintendo Switch, Xbox One, PS4, most PC’s, laptops and mobile phones. The powerful 13.5mm neodymium driver delivers excellent in-ear audio with crisp trebles and powerful bass, vividly reproducing sounds such as footsteps, explosions and firing and enhancing the gaming atmosphere. Zahara has used advanced technology and novelty design to bring you a vivid sound experience. Memory foam Zahara earbuds are ergonomically designed to nestle snugly in your ear without entering your ear canal and forms a cap that gives the earbuds full-spectrum noise reduction. These earbuds come in three different sizes of silicone sleeves and you can choose the pair that best fits your ear, allowing you to indulge in marathon gaming sessions without causing discomfort. Lightweight stainless steel detachable omnidirectional microphone design offers clear voice communication while gaming, enabling all team members to hear your instructions. This package comes with one set of in-ear earphones, one Y splitter cable, one detachable microphone and six earplugs in three sizes. Even at the top end of this price bracket, the Zahara gaming earbuds still offer good value for money and they look cool. These stylish black earbuds with mic and volume control offer excellent sound quality for an affordable price and are fitted with memory foam that retains the shape of your ear for a perfect fit and noise cancelling properties. Every person’s ear is different and because the memory foam reshapes according to your ear, it makes the earbuds extremely comfortable and prevents ear pain even when used for hours. Sound quality is what good earbuds are all about and the KLIM Fusion earbuds don’t disappoint. You can use these earbuds to listen to play games, listen to music or watch movies without any crackles, bass issues, muffling or echoes. KLMI’s gaming earbuds come with six different extensions in three different sizes, a double jack cable and a durable storage pouch. These products built to last and have a 5-year warranty so they shouldn’t just stop working after a couple of months and if they do you can simply return them. These noise-cancelling stereo bass gaming earbuds with adjustable 120-degree rotating omni-directional mic are compatible with PS4, Xbox One, Nintendo Switch, Nintendo 3DS, Laptops, Cellphones and desktop computers. The BlueFire earbuds just sneak in below the $20 mark and are ideal for gamers looking for lightweight comfort and solid sound quality for a reasonable price. The earbuds fit comfortably in the ear to enhance ambient noise isolation and the directional drivers deliver high quality sound. The inline microphone tends to overpower the in-ear microphone and picks up background noise, but it is still acceptable for in-game communication with party members. These earbuds come with small, medium and large ear-tips, 3.5 mm audio extension line, computer audio patch cord and a convenient storage bag. The more you pay for your gaming earbuds, the more you expect to get out of them and in the $20 to $50 price range there are several excellent choices. These mid-range earbuds are comfortable to wear during long gaming sessions and will enhance your gaming experience, at a price range that most people could afford. 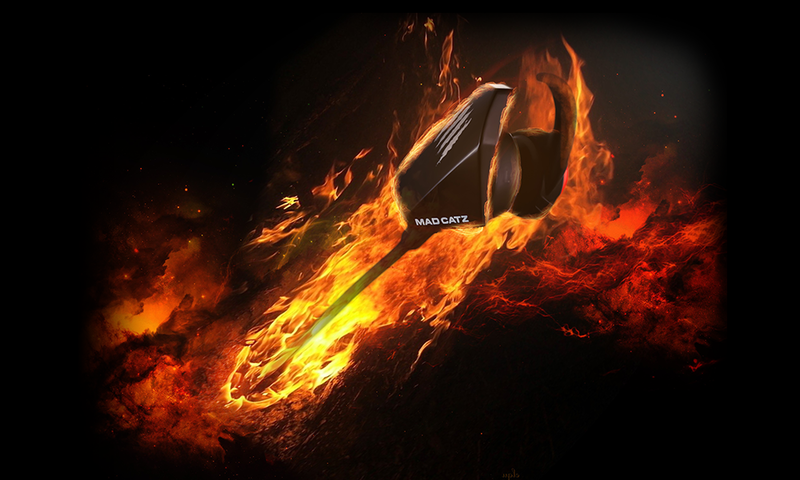 Mad Catz’ E.S. Pro 1 Gaming Earbuds set a new benchmark for high-performance earbud audio and these versatile earphones have a 13.5 speaker that is lightly bigger than the average speaker found in most gaming earbuds and this helps boost the clarity and bass response. The 35mm audio cable links directly to most console controllers, laptops and mobile devices. The dual mics give you the freedom to use these earbuds to easily use these earbuds for both gaming and music. Use the omnidirectional boom mic that automatically suppresses ambient noise for clear in game communication or detach the mic when you want to enjoy your music or watch a movie. The in-line mic, with mute and volume slider, enables discreet conversations and hands-free calls when on the go. Mad Catz E.S. Pro 1 is ergonomically designed to offer maximum comfort during long gaming sessions. You get three earbud options, each with different sizing and ergonomic inner ear supports to keep the earbuds stable. The Mad Catz E.S. Pro 1 earbuds offer great acoustic isolation and come with a convenient microfiber travel pouch. The Mad Catz E.S. PRO 1 Gaming Earbuds are a wonderfully crafted product with incredibly precise details, world-class features, and sophisticated materials. They’re an ideal solution for those looking to avoid audio distortion while playing sound-intensive games on their mobile devices, PCs, and/or consoles. These earbuds are a well-rounded, lightweight set that is going to work well in a wide array of situations without breaking down. In seconds, this can become the go-to gaming option for avid gamers. This set of gaming earbuds is at the top end of this price bracket and comes with dual microphones for flexibility. 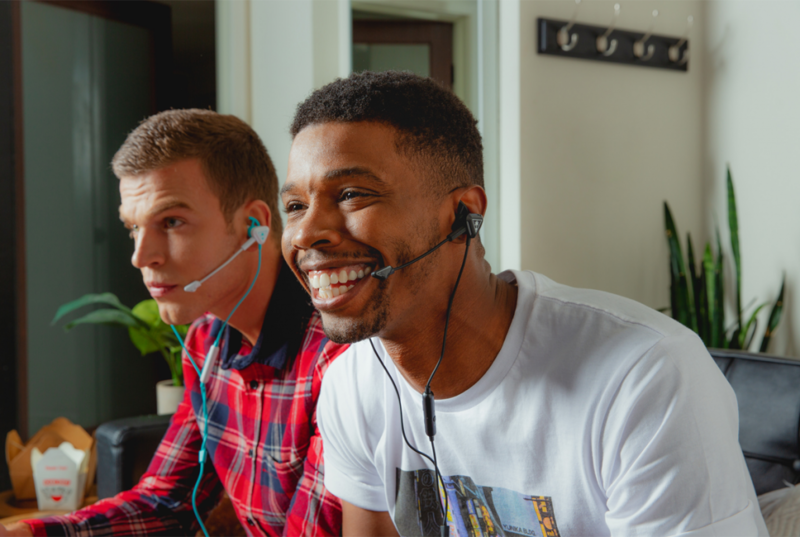 The multi-function in-line microphone lets you control your music and answer calls quickly and easily while the detachable microphone is ideal for communicating with your team members and ensures that they hear your instructions clearly. The 13.5 mm speaker offers the clarity and bass response that you would expect from earbuds at this level. The lightweight ergonomic design with interchangeable earbuds remains comfortable during long gaming sessions. These earbuds offer a good combination of comfort and performance. HyperX Cloud Earbuds, with 90-degree angled plug and rubberized, tangle-free cable, are ideal for playing in handheld mode and will suit gamers who enjoys gaming on the go. The Cloud gaming earbuds come with three sizes of silicone ear tips that are extremely comfortable and make them great for lengthy gaming sessions. The earbuds block out ambient noise and the enhanced bass, and crystal-clear high, mid, and low tones provide an immersive in-game audio experience. The slim in-line mic has a multi-functional button that makes it easy to communicate with other players and is convenient for discreet in-game chats and phone calls. Optimized for handheld mode, the HyperX Cloud gaming earbuds come with a convenient travel case and have a two-year warranty. The glistening red-colored headphones offer tremendous insight into the detailing of this magnificent solution. Along with its aesthetically pleasing build, the HyperX Cloud Earbuds are designed to offer exceptional audio quality, precise controls, and effortless versatility. In this day and age of gaming, having these earbuds in hand can go a long way in making things easier. Even the tiniest of soundbites will be picked up by these earbuds making them a wonderful solution for active listeners. These are truly a top pick for gamers. The Turtle Beach Battle Buds in-ear gaming headset, with high quality 10mm speakers, is built to battle on almost any platform, including Nintendo Switch, Xbox One or PS4 providing a great combination of comfort and quality sound whether you are using them on your daily commute or in the comfort of your own home. These Battle Buds come with a detachable high-sensitivity boom mic and an inline mic that both transmit your voice loudly and clearly and enhance in-game communication. The multifunctional inline controller features master volume control, mic mute and a multifunction button on supported devices. The lightweight and comfortable earbuds come with three sizes (small, medium, large) of interchangeable ear-tips with stabilisers that allow you to play for hours without irritating your ears. This is a good quality set of gamingearbuds that is still very affordable for most gamers. Lose The Bulk – Keep Crystal Clarity. Turtle Beach has long had a great reputation with gamers for providing headsets with exceptional clarity combined with comfort. But they have taken it to the next level with the latest Battle Buds ‘In Ear Gaming Headset’. Say goodbye to bulk and ‘Hi’ to comfort with that same legendary Turtle Beach clarity and mic functionality. When it comes battling online – no matter what your platform these buds will be your best buddy. The 10mm Speakers produce sounds that range from the clearest highs to that bass that is so important for those who really want to live that true battle experience. Nowadays there are dozens of lesser known brands selling earbuds on Amazon. We reviewed a few of the up-and-coming brands, but new brands are releasing new products every year. Costing just over $20, these 4D vibration gaming earbuds are the most reasonably priced in this category and offer quality sound with deep bass and clear high-resolution tones. The built-in vibration unit enables you to experience the vibrations of flying bullets, footsteps, explosions and shouts in your earphones, adding to sensory experience of any game. These dual mic noise cancelling earbuds are compatible with Xbox One, PS4, Nintendo Switch, computers and various mobile phones. The 11 cm adjustable mic can be adjusted as needed and has noise cancelling properties to enhance voice quality for great in-game chat functions. The lightweight shark fin shaped earbuds fit comfortably by conforming to the shape of the ear and the tube-type design reduces sweating, making them great to use for listening to music at the beach or for other outdoor activities as well as gaming. BENGOO MG-2 Gaming earphone set comes with MG-2 gaming earbuds plus an adapter converter and earphone extension cable. Unfortunately there is no option to turn off the microphone but this is still a solid contender in this price bracket. This gaming headset is compatible with Nintendo Switch, Xbox one and PS4 and other platforms with a standard 3.5mm connection. The dual HD microphones, one an in-line microphone and the other a detachable boom mic, are designed for handheld gaming and convenience. The deep bass and professional sound tuning realistically captures the sound of flying bullets, footsteps, explosions and all special sound effects, enhancing your immersive gaming experience. This product comes with gaming headset, protective bag and PC extension cable. These noise-isolating headset earphones are designed for gamers and come with a high frequency detachable noise reduction microphone for clear communication. The Greendo in-ear gaming earbuds are compatible with smartphones, laptop and desktop computers, PS4, Nintendo Switch and other devices that use a 3.5mm standard connection. Double-locking technology combines ear-hooks and ergonomically designed earplugs that are stable and comfortable and won’t fall out even during the most energetic, intense action games. The soft rubber material is skin-friendly and won’t irritate your ears during long gaming sessions. This package includes silicone earbuds, 3.5mm audio extension cable, computer audio patch cord and storage bag. This in-ear noise isolating headset with 3.5 mm jack is compatible with PS4, Mac, PSP, Tablets, smartphones and personal computers. The adjustable microphone can be placed in any position, allowing you to easily communicate with other players. The volume can be controlled effortlessly via the on-cable controls and the high quality 10 mm speakers provide clear surround sound, ensuring perfect bass and treble for games. The ergonomically designed memory foam ear cushion fits comfortably in the ear and blocks out ambient noise, allowing players to enjoy gaming for hours without getting sore ears. The Plextone in-ear gaming headset comes with an 18-month warranty. The ergonomic in-ear design with soft ear-tips are combined with superior sound quality to reduce ambient and background noise, eliminating distractions and providing a more immersive gaming experience. The silicone ear-tips come in small, medium or large, enabling you to find a size that fits comfortably in your ear. The in-line control has a single multifunctional button that allows you to control calls, music and volume directly with the earphones and the built-in mic gives you hand free calling. These gaming earbuds are compatible with all 3.5mm port devices, including smartphones, iPads, tablets, laptops and personal computers. The Woitech wired earbuds come with a 12-moth free replacement or full refund warranty. The Redragon earbuds with in-line mic and noise cancelling properties are compatible with smartphones, Nintendo Switch, desktop computers, laptops, PS4’s, tablets and other 3.5 mm jack devices. These gaming earbuds are made from high-quality silicone, providing long lasting comfort and reducing ambient noise. This pair of Redragons comes in x-small, small, medium and large so you it’s easy to find a fit that works for you. The superior in-ear construction blocks out most external noise so that you can enjoy your music or gaming at a lower volume, even in a noisy environment, and protect your hearing. Thanks to high performance audio and intelligent extreme bass, these earbuds provide a clear 360-degree sound experience that allows you to immerse yourself in your game. The in-line microphone and volume buttons enable you to make hands-free calls and easily adjust the volume of your music or game. Following a successful Kickstarter campaign, the Tunai Drum Hi-Res Earphones are now available to everyone and provide an immersive surround sound experience that is great for gamers. The Tunai Drum is engineered to deliver well-rounded sound throughout the audio spectrum and within these colorful drum-shaped earphones are carefully chosen speaker components, perfectly tuned to deliver lively sound performance directly into your ears. Tunai Drum gaminng earbuds use an extra-large 13mm driver and the ultra-thin 8um aerospace grade PET speaker diaphragm uses highly advanced materials and fabrication techniques to deliver powerful base and clear treble that is almost unheard of in this price range. The innovative technology has also been used to improve the passive noise cancellation to 30db. The ergonomically designed silky soft earbuds are comfortable and ensure a snug, lightweight fit that is perfect for extended, energetic gaming sessions and everyday use in the gym or while commuting. These earbuds are compatible with the majority of smartphones, tablets and gaming devices and come with a 12-month warranty. The built-in microphone works seamlessly with smart devices to ensure clear convenient communication. Tunai Drum earphones are carefully packaged in sophisticated and colorful tin boxes. Each pair of Tunai Drum earphones comes with four sizes of silky soft earbuds to ensure that every ear gets a snug fit without any noise interruptions. The covers can be easily removed for convenient washing to keep them clean. These fashionable gaming earbuds with a simple design come with both an in-line microphone for making calls and a detachable microphone for mobile gaming. The inline controls are convenient and allow you to easily adjust the volume, pause or skip songs and answer calls. The advanced Bluetooth 4.1 technology allows for a fast and reliable Bluetooth connection that is perfect for hands free calls and outdoor sport. When the in-ear headphones are fully charged, they can be used for up to eight hours, sufficient to meet most people’s daily needs. The small soft sweatproof ergonomically designed gaming earbuds ensure a comfortable fit. The package comes with a bluetooth wireless earphone, detachable mic, charge cable, three earbud sizes and a carry bag. I’m currently reviewing more than a dozen new gaming earbuds. Look out for more reviews soon.